Where to have that Holiday Party? Upstairs at Barbuzzo can accommodate up to 55 for a seated event and up to 85 for a reception. Upstairs at Kensington Quarters can accommodate up to 50 people standing, and up to 20 seated. It has a private bar as well. Private events can range from dinner to cooking or butchering classes. Guests may bring and enjoy their favorite libations, as Russet is B.Y.O.B. Regular service at Café Lift closes at 3pm. 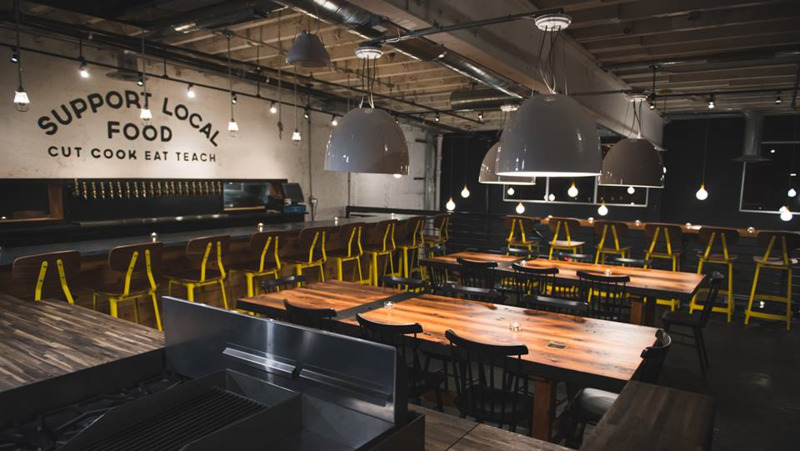 The entire space may be rented out for parties at night and the menu can be almost anything from any of the 13th Street Kitchens spots (Prohibition Taproom, Bufad, Kensington Quarters), depending on availability.